That’s in the front yard. In a few years, it’s going to be bearing fruit. 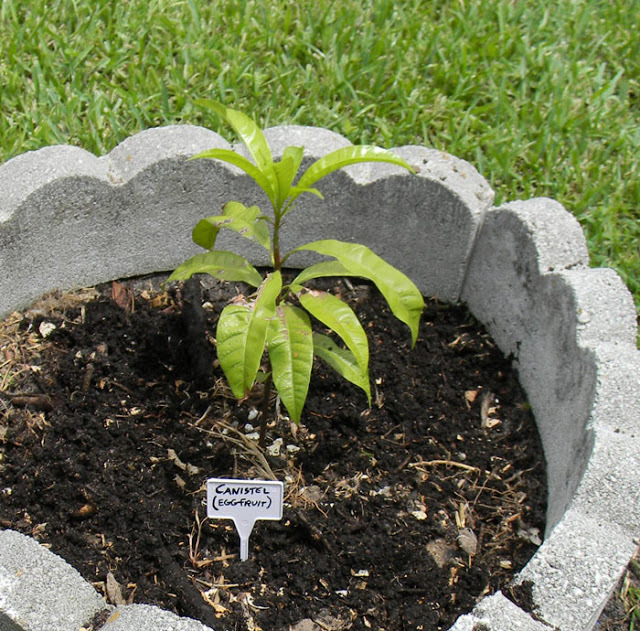 None of us have any idea what canistel taste like, yet we planted a seedling. How crazy awesome is that? We’ll taste it for the first time when the tree bears. In the middle of the front yard, Dad planted a poinciana tree a long time back. It’s coming to the end of its life and will soon need replacing. 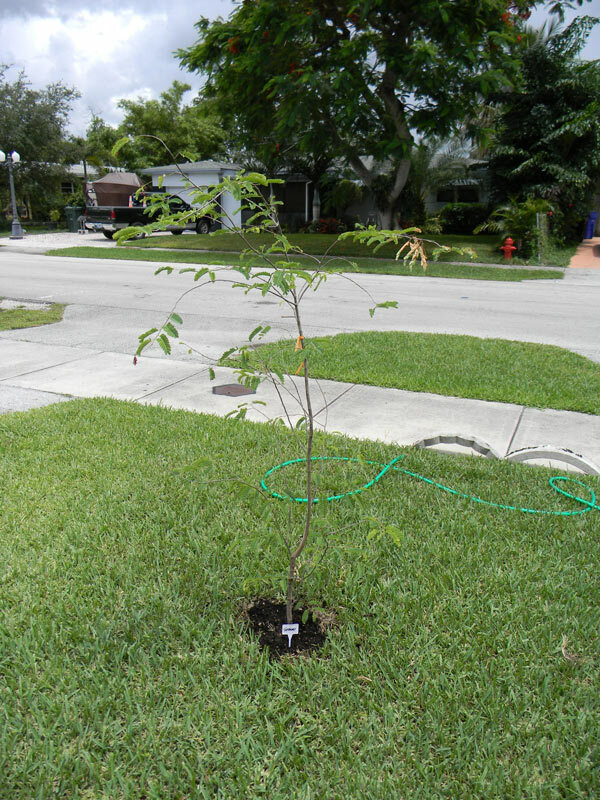 The tree I hoped to put in its place was a tamarind – but then I read that tamarind trees will create a shade issue and tend to kill off things beneath them. That discovered, we put it in the side yard. Dad was initially reticent. Feel sorry for that perfect St. Augustine grass? Its life is gonna get a LOT worse! Wait until this tamarind hits 100′ tall! HA HA HA!!! Beyond the tamarind, the jackfruit, pigeon peas, and the tropical almond I mentioned planting in my last post, we also put in a fig and a couple of surinam cherries, plus a naranjilla, some cannas, a lobster-claw heliconia (just because) and another yam. Aww! What an adorable little invasive! This one is actually a seedling I snagged from a dark-fruited sweet variety. 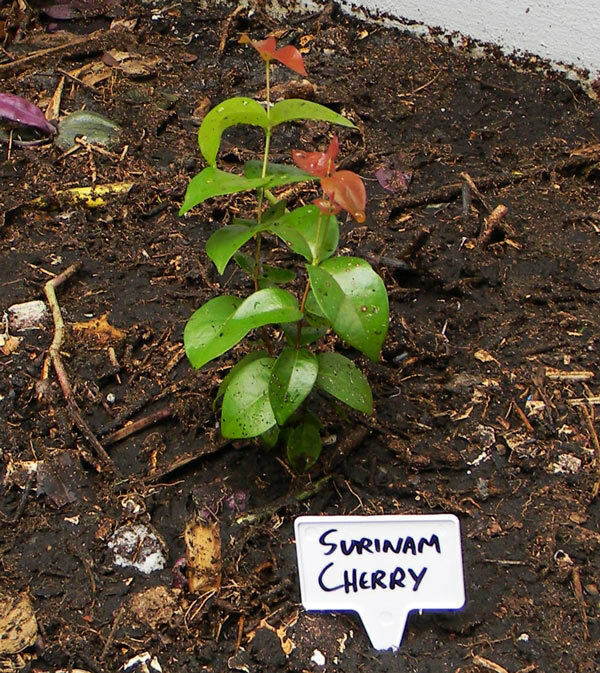 Some surinam cherries taste suspiciously like shellac. This didn’t. Much. Yep. The amazing fruit I discovered a few months ago… has now been installed in my parents’ yard, much to their (and my) delight. 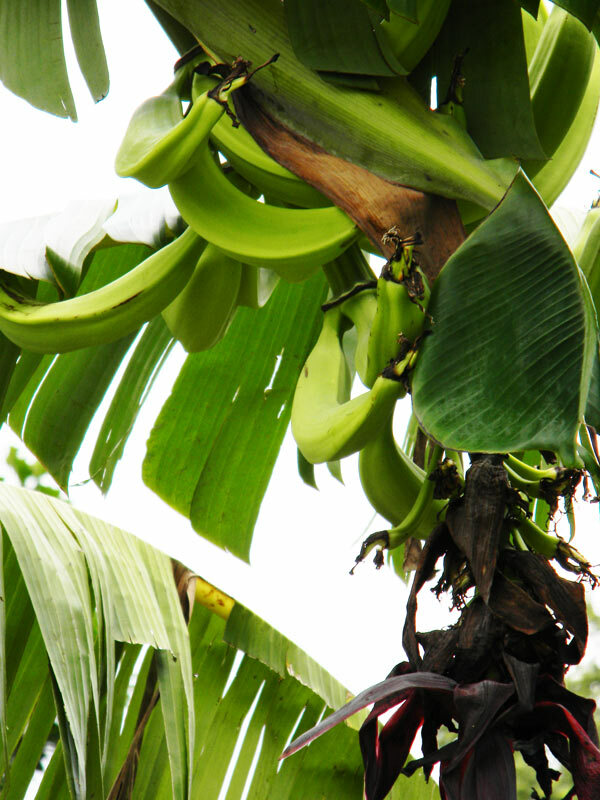 One new development in The Great South Florida Food Forest Project that Mom was particularly impressed by was the appearance of our very first cluster of bananas. I wish more people could experience the joy of growing their own food. I don’t get why so many folks, particularly in a tropical paradise like South Florida, will spend hours on their stupid lawns and stupid toxic landscape plants… when you can bring forth sweet abundance from the earth. 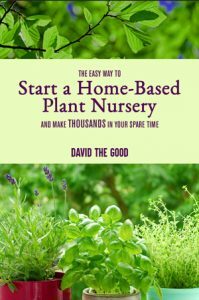 A lot of tropical fruit and shrubs don’t even require watering down there once they get established… yet people slave along, mowing and fertilizing their worthless lawns. Is that you? I hope you’ll quit. Plant something edible, then plant another… and another… and another. Pretty soon you’ll be reaping the sweet bounty and having plenty to share – and when you do, stop on by and tell us about it. 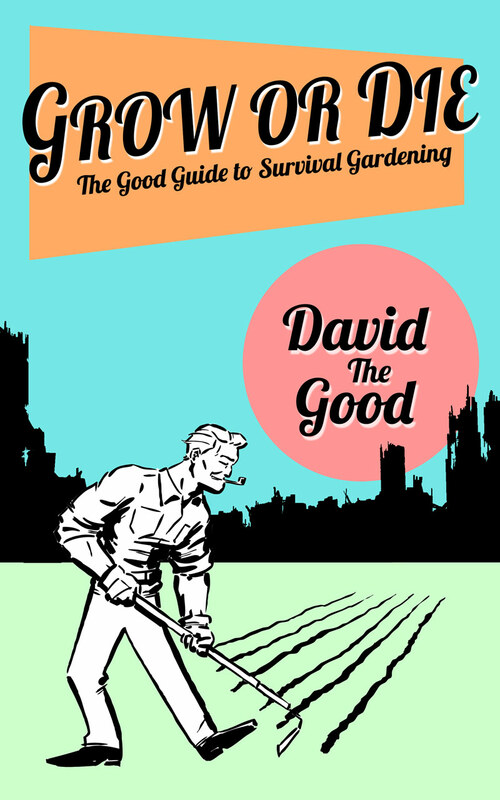 UPDATE: Pick up a copy of my book – Create Your Own Florida Food Forest – and plant your own food forest! 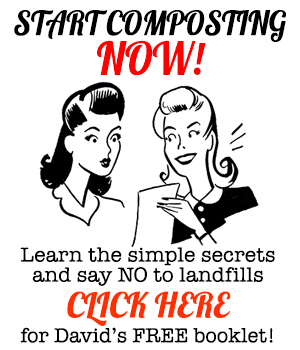 The Great South Florida Food Forest Project Update, May 2015: Yet more to see! An unknown Eleagnus: it's Sideroxylon tenax! Okay – no weekends for me! I don't understand this either. How different would our communities be if there was just one fruit tree planted in each yard? If the public works department planted avocados and persimmons instead of crepe myrtles? If we grew beautiful lawns of sweet potatoes instead of grass? What would hunger in our communities look like then? Self-sufficiency is the path to true wealth. I used to own a house in Hollywood, FL. 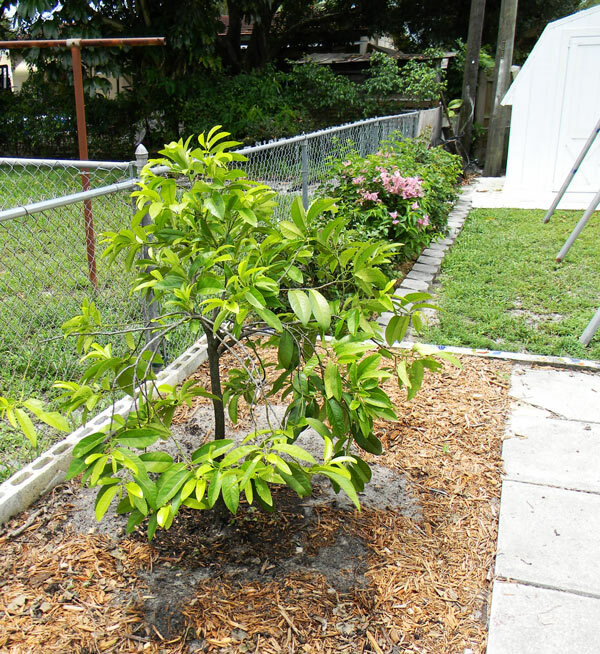 I planted a tamarind tree, papaya, citrus, a lychee and a couple other goodies. Then I sold the house. A year or two later, I drove by and saw some of the trees were gone, but the tamarind was up to about 12' and was totally lovely. A few years after that, I drove by and all the trees were gone and the yard was just grass. Even if you don't eat the fruit, you can SELL IT! Yes, I am only interested in planting fruit, nut or at least forage trees, in my yard. Having said that, I can sort of understand why many people don't have the time or knowledge or interest required to actually get any harvest from the trees. Its certainly not a trivial exercise to protect from pests and diseases and prune, fertilise etc. but again micro livestock would not be practical for most people. George, you make a good point. Some trees are time and fertilizer consuming. For example, I won't plant citrus trees anymore unless they're from seed. The disease and pest load in Florida have simply gotten to plague proportions and it's not worth it. However, some are so easy even a black thumb could pull them off. Loquats, for instance, require no pruning or care. A lot of other tropical trees are really no maintenance – or little maintenance. It's still a lot easier than grass. For small lots and busy homeowners, a good planting of tough edibles surrounded by mulch is a nice low-maintenance solution. One more thing you nailed: grass is great for livestock. That's about the only time I'd recommend it, unless you're in a naturally low-rainfall region where grass is a primary species (like some of the plains states). What did you meant that you would only plant citrus from seed? I didn't even know that you can grow citrus from a seed.